Offering you the most convenient way to do your Dry Cleaning, Laundry and Alterations. Our FREE ‘To-your-door’ service means a driver will come to your door and pick up and drop-off your items. 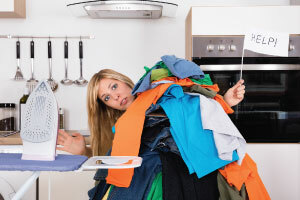 Our expert cleaners dry clean, wash, press and even repair or alter your items exactly they way you like it. We are currently in the process of establishing a new cleaning facility at Taylors Beach and are very excited that once completed, we will be able to offer our new and improved services mentioned below. We are very proud to be able to offer more environmental and human friendly cleaning solutions than other traditional dry cleaning methods. When establishing our new cleaning facility, our main focus was on minimising our energy consumption and consequent environmental impact, as well as improving the quality of the cleaning systems we use, to be able to offer you cleaned items that have had much less, if any, exposure to any potentially harmful chemicals. With many years experience in dry cleaning, we always strive to achieve the absolute best possible results, in the shortest possible time whilst offering the best possible service. Free & convenient pick up and drop off laundry service delivering fresh, clean clothes/linen to your door. 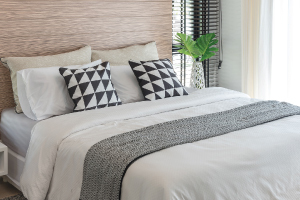 Using a combination of skills, knowledge and professional cleaning systems, we are able to achieve amazing results on most of your soft furnishings. Bed linen, tablecloths and commercial cleans are our speciality, nurtured back to as near to new as we can get them. 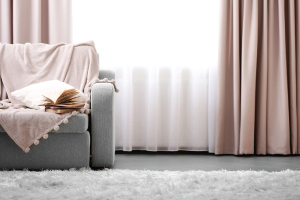 We specialise in ‘no-hassle’ professional cleaning of your curtains, following manufacturers recommendations. We will even come to you for free! We deliver the highest standard of wedding dress dry cleaning, treating each precious gown as if it were our own.